Online reputation management for doctors and other healthcare providers is easy with ReputationStacker. 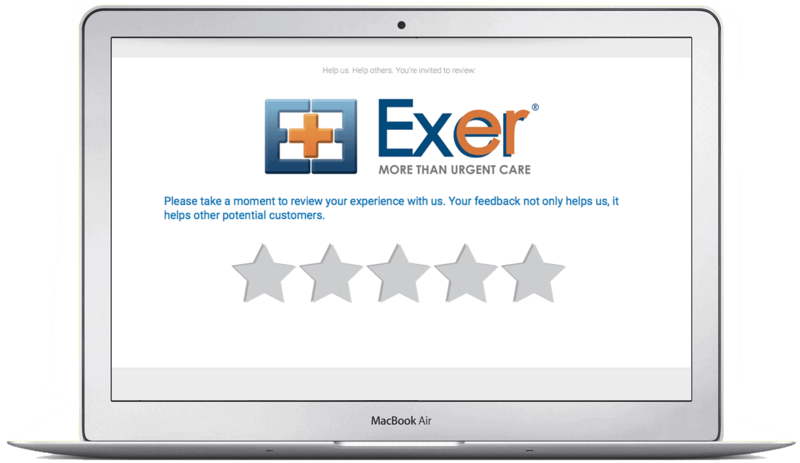 Why does it seem like only cranky patients leave reviews? What about all of your happy patients - why don't they tell the world what an excellent physician, dentist or caregiver you are? ReputationStacker is completely automated. That means that all you have to do is upload your patient list into our HIPAA compliant system and then it takes it from there. 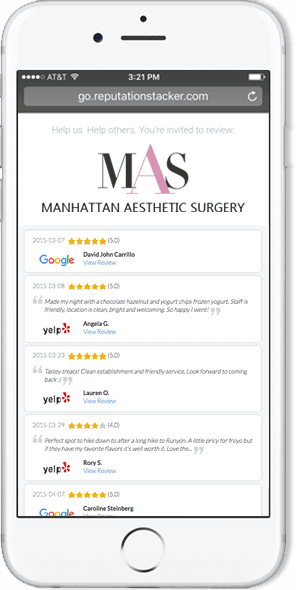 Using a simple segmenting survey, ReputationStacker gets your happy patients to leave reviews on the review sites of your choice, and helps you handle your unhappy ones privately. ReputationStacker automatically alerts you whenever any new review is posted, and aggregates all of your reviews in one simple dashboard. 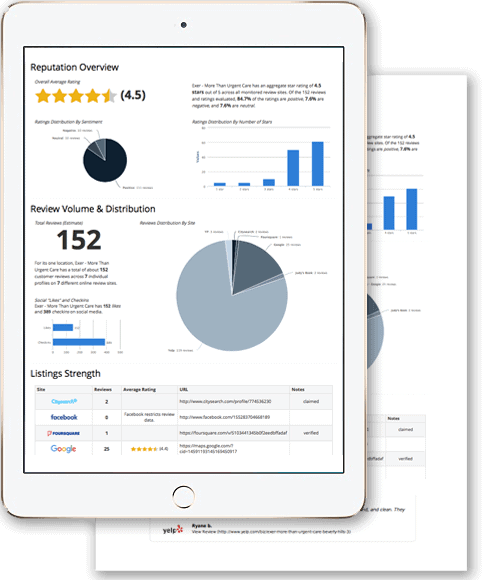 Our Review Stream tool even allows you to showcase your best reviews on your own website, and it updates itself automatically with your latest positive reviews. We have such a demand in the medical space that we built a plan specifically for healthcare professionals that has HIPAA compliant security built in. Need a BAA? We’ve got that too. In addition, the system generates beautiful on-demand and automated scheduled reports that show an illustrated history and current snapshot of your entire online reputation. T﻿ry ﻿﻿our HIPAA compliant solution ﻿﻿for﻿ only ﻿﻿﻿﻿$99/month﻿! All-inclusive: no additional fees, commitments or ﻿﻿﻿contracts﻿﻿. Manage multiple office locations? Just click above to sign up and get started, then it's easy to add and manage additional locations.